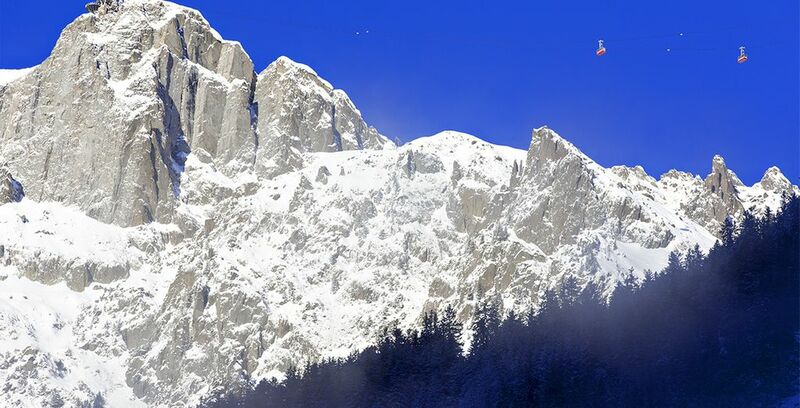 Ski to Chamonix Mont Blanc up to -70% off To take advantage of these offers, join now for free! With breathtaking landscapes, thrilling slopes to ski down and adventure around every corner, Chamonix is a dream skiing destination that you just have to experience for yourself. Located in the East of France, Chamonix is one of the oldest ski resorts in France with a rich sporting history behind its name. Chamonix is the place for anyone to create life-long memories; the stunning alpine peaks are the perfect setting for a romantic getaway, while the mixed terrain slopes are ideal for a family of varied ability skiers. Whether it's your first skiing holiday or your hundredth, Chamonix is the ultimate snowsports destination. Home to the first winter Olympics in history, which were hosted in 1924, visitors can indulge in the fact that they are using the same slopes as Olympian legends. Far from a professional snowsports environment, there is something for all abilities on the Chamonix slopes. It's a great destination for novice skiers or simply those who care more about soaking in the beautiful wintery atmosphere than getting an adrenaline rush. With tours and scenic hiking trails on the mountains, there is so much more to do in Chamonix other than skiing. Chamonix is a great sight-seeing destination, bursting with culture. Life moves slowly in the Chaminoux streets, where the shops and markets are too tantalising not to explore. French gastronomy is at its peak in Chamonix and the array of delicious food is guaranteed to envelop your taste buds, instantly boosting your mood. If you're looking to book an epic holiday, Voyage Prive offer the best package deals so that you and your family can get the most out of your Chamonix skiing vacation. 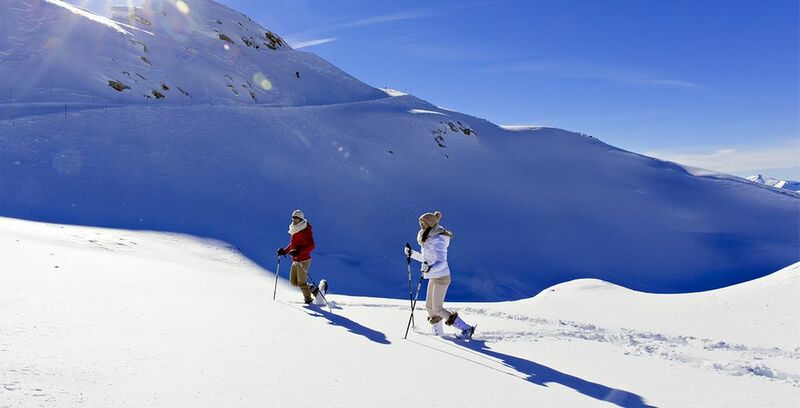 A skiing holiday is incomplete without engaging in some adrenaline pumping snow sports. The mixed terrain slopes and the plethora of ski routes to choose from make Chamonix an extremely diverse ski resort for every ability. Qualified instructors can teach you the basics or help to perfect your form if you're more advanced. For something a little different, swap your skis for a snowboard and hit the slopes. If skiing isn't the ideal sport for you, fill your days with other heart racing activities such as dog sledging or paragliding. With masculine mountain peaks and picturesque buildings to explore, Chamonix is a feast for the eyes. There is so much sightseeing to be done and you'll struggle to fit it all into just one week. Take advantage of the many guided tours in the area where passionate professionals can fill you in about the history of the iconic landmarks. Standing tall at 16,000 and the second highest mountain in Europe, Mont Blanc is truly a sight to behold and has to be visited at some point on your holiday; hike among the trees in the summer, or travel up the dizzying heights of the mountain via a cable car. 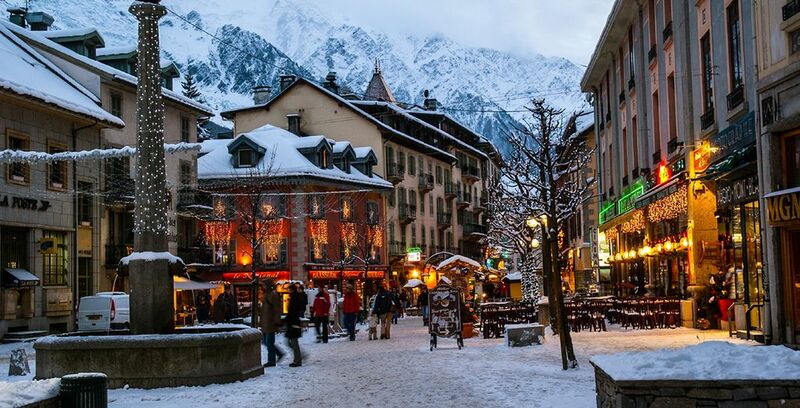 The tranquil vibe of Chamonix town is a welcome break from your action-packed day of snow and sports. With authentic boutiques and unique shops, the town is the perfect place to pick up souvenirs for family members back at home. There is a vast choice of restaurants and bakeries to dine at, where you are likely to taste the most delicious food in Europe. Famed for their pastries and sweet treats, Chamonix food is heaven for sugar lovers. This unique train ride is unlike any other in the world and perfect for holidayers wanting to try something a little bit different and enjoy a scenic ride up a mountain on a vintage train. The journey is truly magical and will see you cutting through trees and hollowed out rock carved from the mountainside. When you arrive at your destination, you will be greeted by the equally imposing and beautiful Mer de Glace glacier, a photo of which will look iconic on your Instagram feed. Swap your ski boots for your best dancing shoes, because the Apres ski is where the party starts. Gorge on fondue and treat yourself to some refreshing cocktails, but don't have too many; you have to be up early to hit the slopes the next day. We have some amazing hotel deals to make your Chamonix skiing holiday feel utterly luxurious. This 4* hotel boasts traditional interiors and utterly stylish furnishings. Guests can enjoy a panoramic view of the natural beauty that is Mont Blanc, as they take a leisurely swim in the hotel's heated pool. Ideal for families, Voyage Prive members can enjoy a Club Med Baby Welcome which includes a hamper of infant care essentials. With modern facilities and an ultra-chic aesthetic, a stay at this hotel is essential for holidayers looking to relax. Voyage Prive members can look forward to daily spa access, where they can unwind after a busy day of skiing. Ideally located, Chamonix is a well-connected area that is accessible by most modes of transport. Just one hour away from Geneva airport, you can fly to the skiing location from most countries. You can easily reach Chamonix by car by using the European motorway network. For those planning to hit the slopes, basic skiing clothes are essential. A pair of breathable skiing gloves will keep your hands dry and warm while you are skiing and an appropriate skiing jacket will keep your core toasty. A snowstorm can hit at any time, so don't forget a pair of skiing goggles. Bring your own skis if you have them, but there will be places to rent them once you reach Chamonix if this is not the case. When is the best time to ski in Chamonix? What budget to plan for a ski holiday to Chamonix? Your budget depends on how immersive you want your skiing experience to be and which equipment you will need to hire. For a luxurious holiday, expect to spend around £1000 per person, including lift passes, hotels, food and hiring the appropriate kit. Those on a tighter budget looking to cut the costs of the holiday should expect to spend around £600.